This is a poem I wrote last week, whilst I was radioactive and not allowed near my children, due to receiving radioactive iodine 131 for Thyroid Cancer. The aim of this, was to illuminate any cancer and thyroid cells on a full body scan, to see if my radiotherapy in May 2013 has worked or not. I will get results on December 20th. This is obviously a difficult time, as I'm such a maternal person. Being unable to go within a metre of my children, is so so hard. For them, and for me. The twins are only 18 months and they don't understand. Bunny is 6 and does understand, but she still finds it tough too. I wrote this during my time alone. Wednesday Words has been slipping lately. Not many people have been linking up, and those that do, haven't been commenting on others. It's really easy to join in. You can blog your own work, or you can blog something you've seen before that you like, as long as you fully credit the author. It can be a poem, prose, quote, lyrics or a short story. Please do come back a few hours after linking up your post, and comment on at least two of the other entries. I am going to start linking to my favourite post each week. Thankyou to everyone who joined in last week, and welcome to Kate On Thin Ice, for joining in for the first time, with a gripping poem. My favourite #WednesdayWords post from last week was by The Adventures of a Yorkshire Mum. I have witnessed a lot of compassion over the last year, and in the most unexpected of places, but some people in this world, are sadly not that way inclined. Michaela chose a quote online, which stands up, against the less compassionate people of this world, and shows them what motherhood is really about. I was really moved by this post. 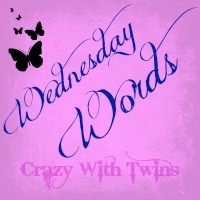 Wednesday Words : Bravery or Survival? This entry was posted in Blog Hops / Memes / Linkies, Cancer, Charity / Awareness, Family, Health, Medical, Parenting, Radioactive mum, Uncategorized, Wednesday Words and tagged blogger linky, Emma Day, Geiger counter, Geiger Counter poem by Emma Day, iodine 131, literature linky, lyrics, mum with Cancer, original poetry, papillary thyroid carcinoma, poem, Poetry, prose, quotes, Radioactive iodine, radioactive mum, RAI, short stories, thyroid cancer. Bookmark the permalink. Oh honey I am so glad it is over, and you’ve washed it right out of your hair and pores. You’re back with your girls and eating normally again. Thank God, and prayers for 20th December.